- Zn <36% -> phase α: the structure is cubic with centered faces, like that of copper. Excellent cold workability and good hot workability. - 36% phase α-β: the phase α maintains the cubic crystal structure with faces centered while the phase β has a cubic structure with a centered body. This type of brass is mainly hot workable. - Zn> 45%: this alloy is rarely used because it has little practical interest. 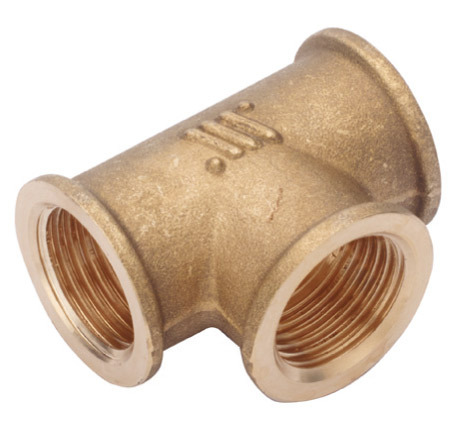 The brass fittings are a widespread product worldwide and are central in the production of Gnali Bocia both for gas fittings and for incompressible fluids such as water. The use of brass for the realization of these components is motivated by its mechanical characteristics (strength, ductility, malleability), resistance to corrosion, abrasion resistance and an important characteristic such as antibacteriality. Compared to pure copper it has better characteristics of hardness, resilience and fusibility. 2. Less wear on the tool heads, as the alloy is on the whole more tender and easily workable. We must pay attention to the addition of lead since the excess in the quantity of this element determines the obtaining of a too soft alloy. - Nickel (Ni) => da -1,1 a -1,7. Silicon is added in small quantities (maximum 1-2%) because it has a high coefficient of equivalence and therefore determines an excessive change in structure. In fact, an addition of 2%, being the coefficient equal to 10, is equivalent to an increase of 20% of zinc in the alloy. Nickel has a negative coefficient: its addition is equivalent to the shift towards higher copper levels. Lead has a zero coefficient because you will find it on the grain boundary and does not enter the lattice. As already mentioned in the initial part, the brass is an excellent alloy for the realization of the fitting elements mainly for its mechanical and tribological resistance properties, as well as having an excellent workability with machine tools. Among the most used alloys there are the CW614N and CW617N, both with an average copper content of 58%. In case there is a turning process for making brass fittings, the alloy CW614N is used. This choice derives from the form of supply of this alloy which usually consists of solid or perforated bars. Conversely, starting from a rough piece, we tend to use the CW617N alloy which is better workable as the lead percentage is slightly higher than the previous alloy. In addition to the correct choice of the brass alloy with the desired elements, the choice of a surface treatment to cover the fitting is also fundamental. Nickel plating, an excellent substitute for chrome plating (a technique prohibited in many countries, given the food applications of certain fittings), is an excellent methodology. With this technique, a surface layer is deposited, which allows to protect the component from wear and also from corrosion, which is possible to meet in a humid environment. 22/01/2013 Gnali Bocia: design of brass fittings Brass fittings are used to connect different parts together, allowing gas and liquid to flow through.